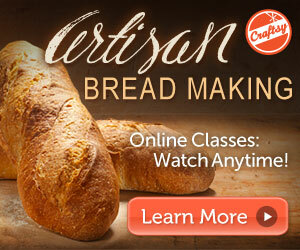 Lesson four of Craftsy's Artisan Bread Making (affiliate link) was great! 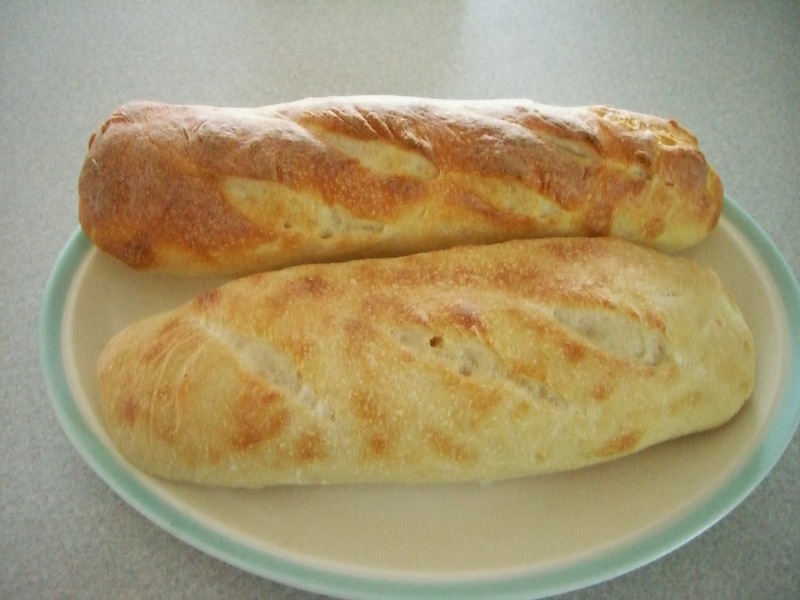 After the great bread I was able to make in lesson three, I was excited, but kind of disappointed about how long it took to make. Never fear, lesson four detailed two shortcuts. One is the Poolish method and the other the Pate Fermentee method. 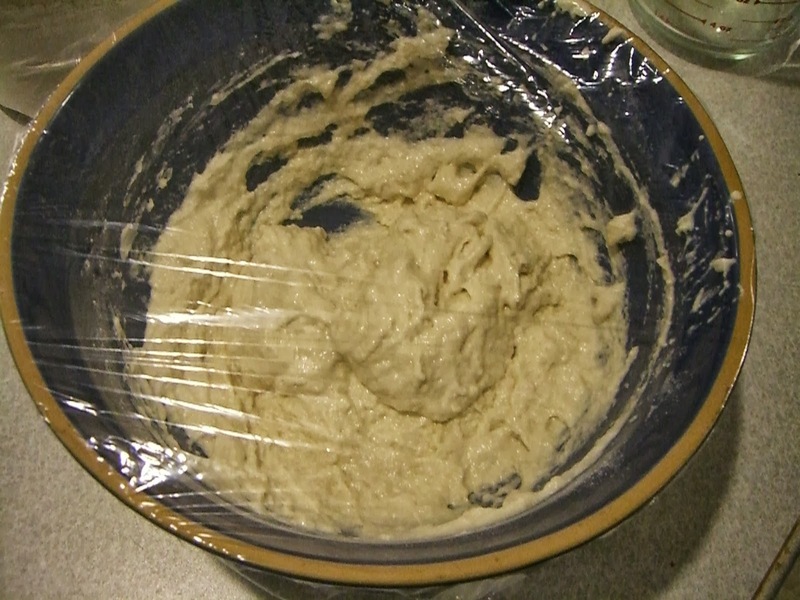 The Pate Fermentee method involves using a piece of old dough. Since I didn't have any leftover dough, I decided to try the Poolish method. Poolish entails mixing a little flour, water, and yeast. Letting it sit on the counter four hours, and then popping it in the refrigerator. 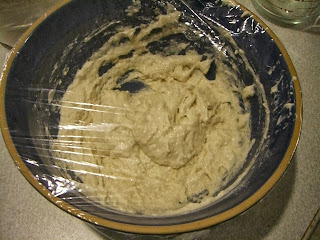 This is what the poolish (a French word for sponge) looks like after you initially mix it up. 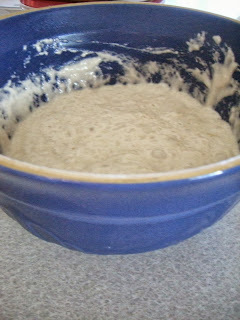 After I took it out of the refrigerator this morning, you can see it already is getting yeasty and bubbly. 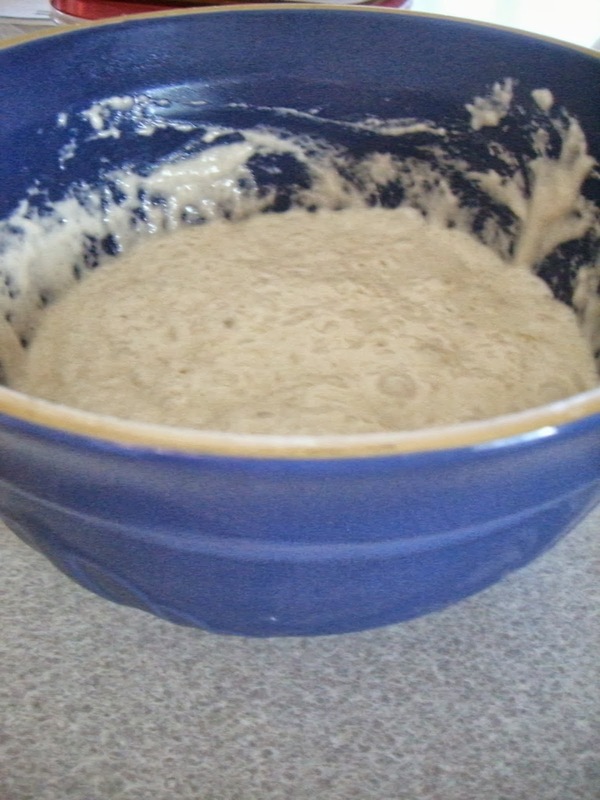 You mix the poolish in with your bread flour, water, salt, and yeast. Now this is where the short cut comes in. Instead of waiting 20 minutes between stretch and fold cycle, you only have to wait five minutes between each cycle. Then you proceed in the same way as with the lean method. You form your dough, proof it. Score it and bake it. 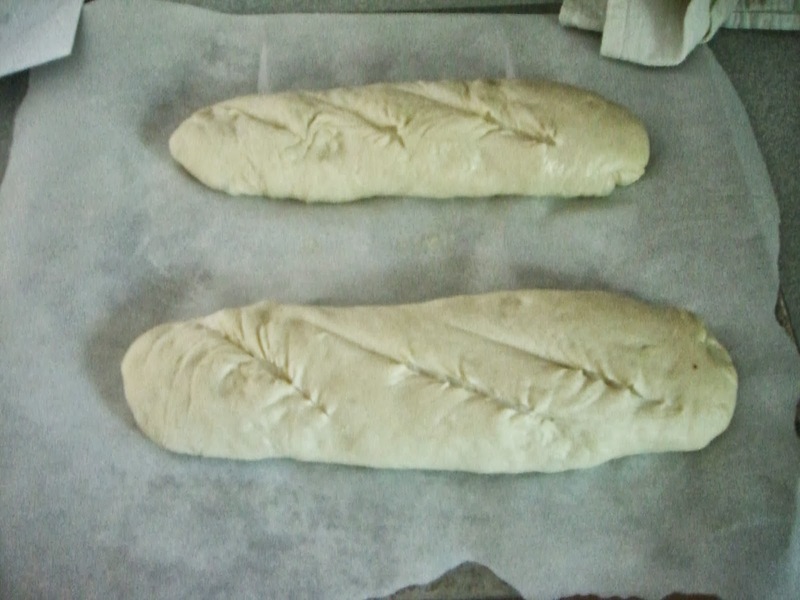 Here's the prebaked loaves. 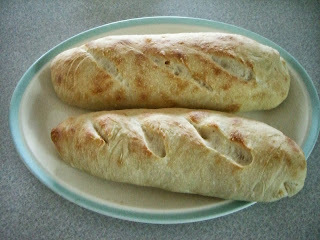 And here's the baked loaves. They get some puffiness in the oven. On a technical level, I don't think these loaves turned out as well as my first batch. I think my dough was a little too sticky and needed a little more flour. Or maybe, a little more time in the mixer. But, I ate it with some chicken wild rice soup and it was still delicious. There's nothing like warm bread with soup in the autumn. 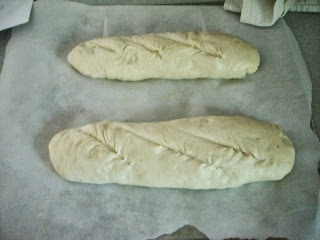 And I'm really excited to learn that I can cut some time out of my bread making process. It makes me optimistic that making homemade bread won't just be a special occasion type thing. If you want to learn to make awesome breads, you really should give this Craftsy class a try.